April 14th, 2016 – Force Field, a newly established virtual reality (VR) and augmented reality (AR) development group, has merged with respected game developer Vanguard Games, establishing itself as a premier exclusive VR & AR content and technology development studio. 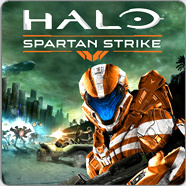 April 16th, 2015 – Vanguard is proud to announce that “Halo: Spartan Strike”, the game it developed for and in conjunction with 343 Industries and Microsoft, launches today for Windows and iOS devices worldwide. We are looking for a talented designer who is passionate about creating the most innovative and state of the art VR and AR games. You are responsibe for coaching and mentoring your more junior colleagues and interns. You have strong mathematical, logical and analytical skills. Force Field is one of the world’s largest development studios dedicated solely to developing state of the art Virtual Reality (VR) and Augmented Reality (AR), creating high-end games, innovative TV & video content, unique interactive experiences and groundbreaking applications. Force Field is looking for the best creative talent to help us develop to help us develop the next generation of these new forms of digital content. Come join our international team in the center of Amsterdam. Are you interested in working at Force Field VR? Please apply for this job and send your resume, a short motivation and your portfolio to careers@forcefieldvr.com. The 3D artist creates superb props, vehicles, environments and vegetation for our multi-platform games. Good use of light, shadow, color and form in both geometry and texturing. Level design, -building and -lighting. 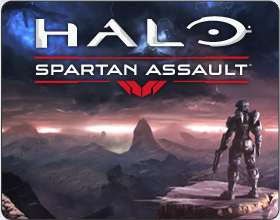 You have experience in the 3D field, with either games or related industries.